The Roleplaying Game Creators Relief Fund (RCRF) is a special fund, administered by long-time game professionals who seek only to ensure when a crisis strikes, we can be there to help our colleagues in their time of need. Naturally, this means we need to constantly bring in donations of funds so we have something we can contribute, whether it’s for a medical hardship, a burned-down home, or any number of other circumstances where a writer, artist, publisher, editor, or anyone else who helps bring your favorite games and gaming materials to life may need a helping hand to get by. This holiday season, we are extremely thrilled to offer a special bundle, worth nearly $260.00 in value, for only $25.00! Featuring contributions from companies like Pinnacle Entertainment, Spectrum Games, Melior Via, DWD Studios, Third Eye Games, Green Ronin, John Brazer Enterprises, Rite Publishing, Legendary Games, Silver Games, and Schwalb Entertainment, there are over thirty products spanning the full breadth of gaming today! Each and every product was donated for free so that we could take 100% of our revenue and apply it to building up the RCRF funds. 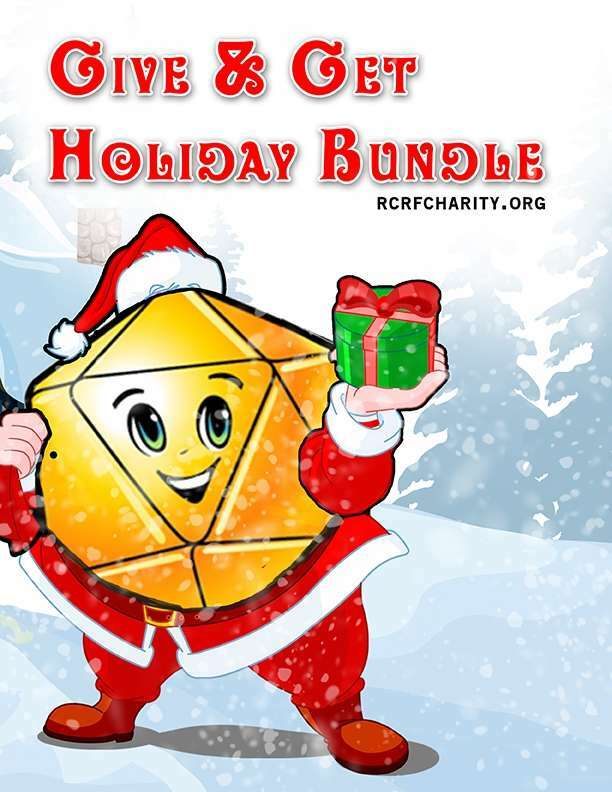 This would make a great “gift pack,” either for yourself or your favorite Game Master, so be sure to grab it while it’s available for the holidays! If you want to know more about the RCRF, please check out our website at http://www.rcrfcharity.org/.